Legendary Irish accordion maestro Sharon Shannon brings a new live show on UK tour 2019. Joined by her band, Jim Murray acoustic guitar, Jack Maher electric guitar, vocals and Sean Regan, fiddle, percussion and beatbox, Sharon will perform music from her many albums throughout the years, including 2017’s Sacred Earth. Recorded at Real Worlds Studios and produced by Robert Plant producer, Justin Adams, Sacred Earth features many tracks with African influences and indeed African musicians as collaborators and guests. Seckou Keita from Senegal, arguably the most influential and inspiring Kora player of his generation, was one of the key collaborators. 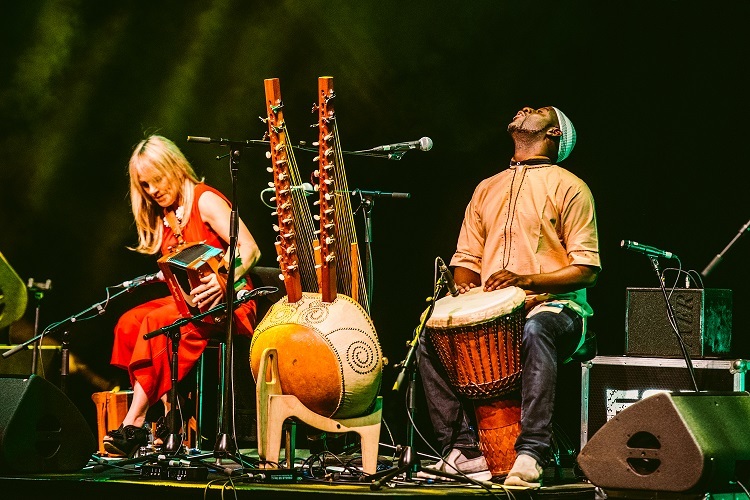 Now Seckou joins Sharon and her band, as a special guest on the Sacred Earth UK tour 2019. Together these two masters of their crafts, weaving together their musical traditions will take us to magical places new.